Getting started in tennis is a ton of fun, good for your health and can be highly challenging. At CoachV Tennis Academy and Services we are currently offering beginner private, group, and classes for kids, juniors and adults. 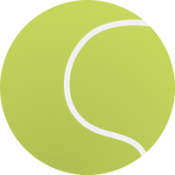 Also we offer Advance Beginner to Advance Intermediate drills for those who are playing currently and need some extra help to rise to the challenges of tennis. Click here to register.